Dr. Melissa Fernández Arrigoitia is a Research Officer at LSE London where she carries out investigations to do with the capital’s social, economic and political life, particularly around housing issues. She is a lecturer in Birkbeck’s ‘Culture Diaspora Ethnicity’ MA and has taught gender and politics at Queen Mary University. She completed a PhD on the political, material and symbolic co-productions of public housing in Puerto Rico (LSE, Sociology-Cities), has and MSc in Gender and International Development and a BA in Philosophy and Women’s Studies. She is interested in the links between housing displacement, urban development and activism; interdisciplinary approaches to processes of urban ‘othering’ including the imports of gender, race and postcolonial theories to cultural and urban studies; and in critical geographies of home. She has previously worked in the field of international human rights in the UK, U.S., and Puerto Rico. Gunter Gassner is an architect, tutor and guest lecturer at the LSE. He practiced as an architect in Vienna, Barcelona and London where he led the office-intern high-rise unit at Foreign Office Architects. 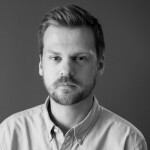 He previously worked on a comparative analysis of public spaces in London, Paris and Barcelona, sponsored by Kohn Pedersen Fox Associates and currently teaches on the LSE MSc City Design and Social Science Programme and at Central Saint Martins , University of the Arts London. His research interests include a social and political understanding of urban visions and visualisations, neoliberal processes of urbanisation and social and critical theory. Alasdair Jones is an Assistant Professor in Qualitative Research Methodology in the LSE’s Department of Methodology. He is an alumnus of the doctoral programme at the LSE’s Cities Programme and completed his ESRC-funded PhD there in 2008. This was an ethnographic account of the socio-spatial production of urban public space on London’s South Bank during the ongoing physical transformation of that area. 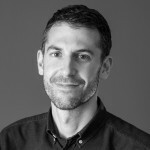 Building on his doctoral studies, Alasdair’s research interests broadly concern the relationship between built form in cities and social practices, and his research to date has centred on public space, public transport and the ways that citizenship is experienced in urban settings. 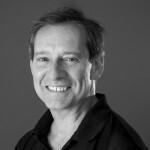 The current research he is working on develops these interests by exploring the fit between sustainable design features of masterplanned developments and the living practices of residents of those developments. On completion of his PhD studies, Alasdair initially worked in the third sector (at Living Streets and the Royal Society of the Arts) before returning to academia to work for the ‘Transport and Health Group’ at the London School of Hygiene and Tropical Medicine. Alasdair was then appointed the UH-Lafarge Research Fellow at the University of Hertfordshire’s Centre for Sustainable Communities and he has recently completed a US-UK Fulbright Commission scholarship at the Center for Ethnographic Research (formerly the Center for Urban Ethnography), UC Berkeley, and a Visiting Fellowship at the City Futures research centre, UNSW. 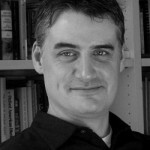 David Madden is Assistant Professor in LSE’s Department of Sociology. He is a sociologist and urbanist who has conducted qualitative, ethnographic and historical research in New York City and London on topics including public housing, public space, urban politics, cultural development, gentrification, urban theory and global urbanisation. Madden teaches in the MSc City Design and Social Science and the MSc Culture and Society programmes. He has previously taught at New York University, Bard College and Columbia University, where he received his PhD. His work has appeared in journals including International Journal of Urban and Regional Research, City and Community, Environment and Planning D: Society and Space and CITY, where he is an Editor. He has also written for The Guardian. Michael McQuarrie joined the LSE from the University of California, Davis. He is primarily interested in urban politics and culture, nonprofit organizations, and social movements. He received a B.A. in History from Earlham College, an M.A. in History from Duke University, and a Ph.D in Sociology from New York University. Prior to completing his graduate studies he worked as a labor organizer and a community organizer in West Virginia, Ohio, and New York. He has recently been awarded a Hellman Fellowship at the University of California and a Poiesis Fellowship at the Institute for Public Knowledge at New York University. He has taught undergraduate and graduate-level classes on classical and contemporary theory, political sociology, social movements, urban sociology, social change, and social change organizations. His research is primarily concerned with the transformation of urban politics, governance, and civil society since 1973. He demonstrates this both by showing how the meaningful content of political values and practices, such as community and participation, have been transformed, but also how these changes are linked to the changing nature of governance, changing organizational populations, and the outcome of political conflicts. His work has been published in Public Culture, Politics and Society, City and Community, and Housing Policy Debate, among other venues. He has co-edited two volumes on related themes: Remaking Urban Citizenship: Organizations, Institutions, and the Right to the City(with Michael Peter Smith), and Democratizing Inequalities: The Promise and Pitfalls of the New Public Participation (with Caroline Lee and Edward Walker, forthcoming 2014). He has published commentary in Shelterforce, The Hindustan Times, and Possible Futures. He posts periodically for Rooflines, the blog of the National Housing Institute (US). He is currently preparing a book manuscript entitled The Community Builders which summarizes his research on the trajectory of community-based organizations in urban authority and governance over the last forty years. Antoine Paccoud’s research is concerned with bringing human geography into conversation with the ideas of contemporary philosopher Alain Badiou, and in doing so, to show that this philosophy can be compatible with empirical social science. His PhD in Urban and Regional Planning (LSE, 2012) investigates Haussmann’s planning practice through the lens of Badiou’s philosophy, providing a new interpretation of the relation between Haussmann and property owners. His work at LSE Cities (2008–2013) was concerned with new methodologies for large-N city comparisons. He also works on the links between ethnicity and gentrification through an investigation of the London experience. Kathleen Scanlon is a Research Fellow at LSE London. She has a wide range of research interests including comparative housing policy (across all tenures–social and private rented housing as well as owner-occupation), comparative mortgage finance, and migration. Her research is grounded in economics but also draws on techniques and perspectives from other disciplines including geography and sociology, and aims at improving the evidence base for policy decisions at national or local level. She is currently editing a book on Social Housing in Europe, to be published by Wiley in 2013. She has worked with a number of national and international institutions including the Council of Europe Development Bank, the Inter-American Development Bank and Denmark’s Realdania foundation. A collector of languages, she speaks Spanish, Italian, Serbian, Danish and a bit of French. Don Slater is associate professor at LSE Sociology and works with Mona Sloane and Joanne Entwistle on the Configuring Light Programme at LSE Cities. His research focuses on relation between culture and economy, ethnographies of new media and digital culture in the third world, and visual culture. Within Configuring Light, he draws on actor-network theory and material culture studies to investigate how light, as a material, is configured into social, technical and spatial forms. He is currently developing a comparative research project on urban lighting in the Global South. 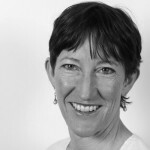 Professor Christine Whitehead is an internationally respected applied economist whose research is well-known in both academic and policy circles. She directs a multi-disciplinary centre including anthropologists, sociologists and geographers. She has conducted an extensive programme of research on various aspects of the housing market, with special reference to housing finance and subsidies, social housing provision and land use planning, as well as on urban, industrial policy and privatisation issues. 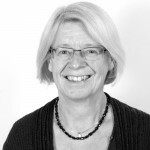 Major themes in her recent research have included analysis of the relationship between planning and housing, notably with respect to the S106 policy; housing needs assessments; the role and financing of social housing in the UK and Europe; developments in private finance; policy evaluation; and more generally the application of economic concepts and techniques to questions of public resource allocation with respect to housing, education, policing and urban regeneration. Austin Zeiderman is an interdisciplinary scholar who specializes in the cultural and political dimensions of cities, with a specific focus on Latin America. He holds a PhD in Anthropology from Stanford University as well as a Master of Environmental Science degree from Yale University and a bachelor’s degree in Economics from Colgate University. Austin’s research adopts an ethnographic and historical approach to contemporary forms of urbanism. He is particularly interested in how cities are planned, built, governed and inhabited in anticipation of uncertain futures. His forthcoming book, Endangered City: The Politics of Security and Risk in Bogotá (Duke UP), focuses on the government of environmental hazard in the self-built settlements of the urban periphery. Austin is also beginning a new research project on rapid urban transformations associated with port expansion in the city of Buenaventura on Colombia’s Pacific coast. Aspects of Austin’s research have appeared in a range of venues, such as Environment and Planning A, Public Culture, American Ethnologist, openDemocracy, and the Guardian. He has received fellowships and awards from the Fulbright Program, the Wenner-Gren Foundation, the National Science Foundation, and the Mellon Foundation. 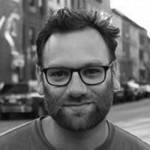 From 2012 to 2014, Austin coordinated the Urban Uncertainty project at LSE Cities, where he remains a Research Associate. Raised in Philadelphia, he has previously worked on urban and environmental issues in Baltimore and San Francisco.